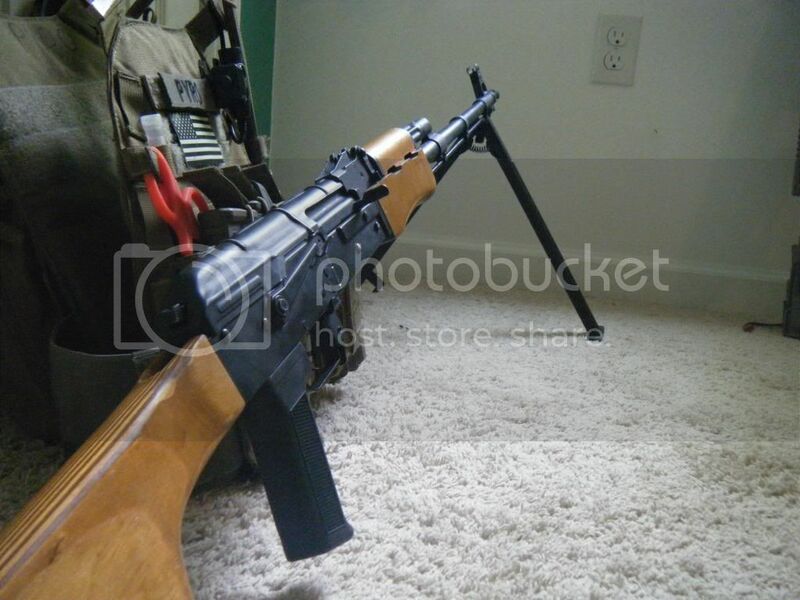 Looking to trade or sell my RPK today. Love it, it works well, but its not what I need. - PM with questions, offers, etc. Don't post in my thread. - Preferred method of transaction is FTF at 321 Airsoft in Milford. - Shipping, if necessary, is available and the cost will be covered by you. - PayPal and cash are the only methods of payment I will accept. - In a trade, you ship first unless your iTrader is higher in THIS forum. - Crye JPC, Medium, Multicam. - DBoys or CYMA AK74 + Mids. Black furniture and triangle stock preferred. - A&K M249 Para. Lower RIS is a huge bonus, as well as MAG nutsack mags. Anyway, the important part. The gun. Externally, everything is metal except for the stock and handguards, which are a nice laminated wood. The pistol grip is a black polymer. The paint is somewhat worn, but it looks great and the body is structurally sound. No wobble or creak except for the bipod, which flops around due to the design. Its shooting about 390 FPS and around 30 RPS on an 11.1v LiPo. 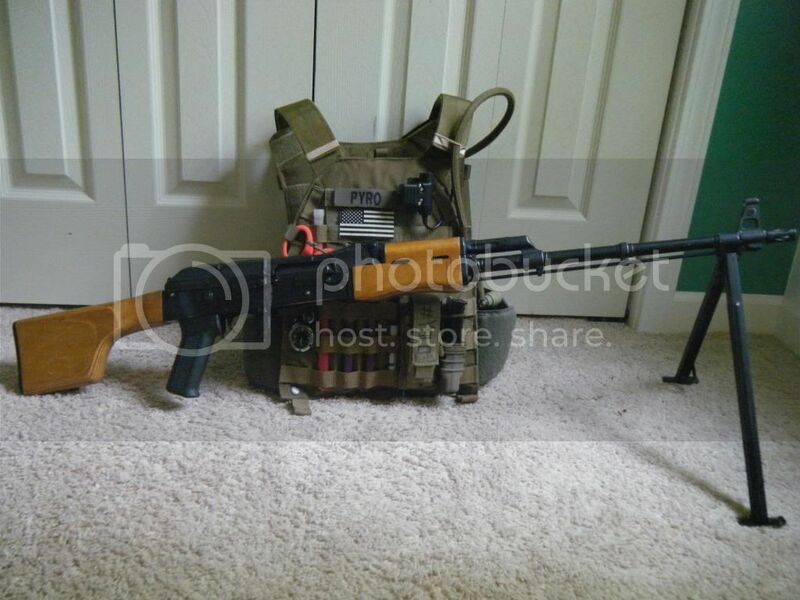 It comes with one functional RPK hicap and one broken hicap. The rear sight is missing, although it was basically useless to begin with. The space where the rear sight was has an aperture that lines up perfectly with the front sight and is on target with there the gun shoots. - Core polymer piston w/ metal rack. AoE corrected. - Core? cylinder head w/ sorbo and teflon around the o-rings. New, everything would have been well over $400. Looking for $270 + shipping, if needed. Price is OBO. Hit me up with offers via PM. Bump. Some please buy this. Bump, back on the market. Trades list expanded. I think a bump is in order.